Squeeze oranges to extract the juice. 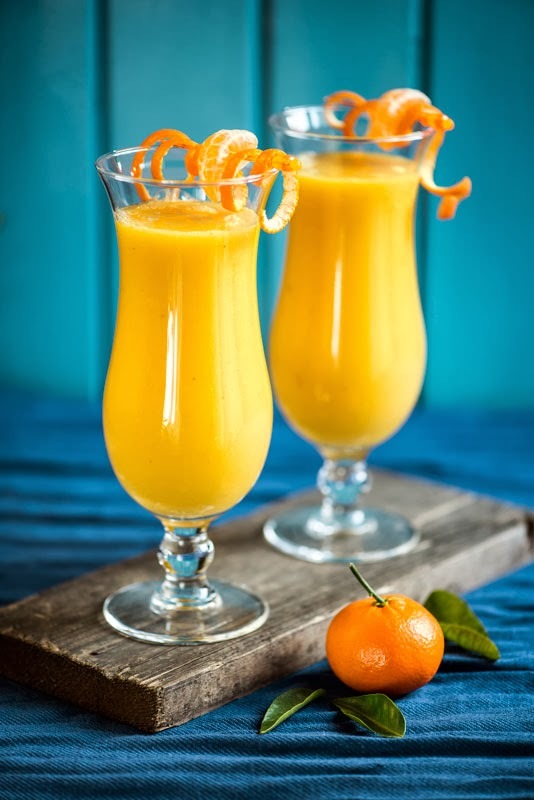 Put bananas, mango, ginger and the orange juice in a blender and mix. Mmmmmmm... I want moooooore !